Ubiquitous sea grapes (Coccoloba uvifera) grow on all the beaches in Grenada. 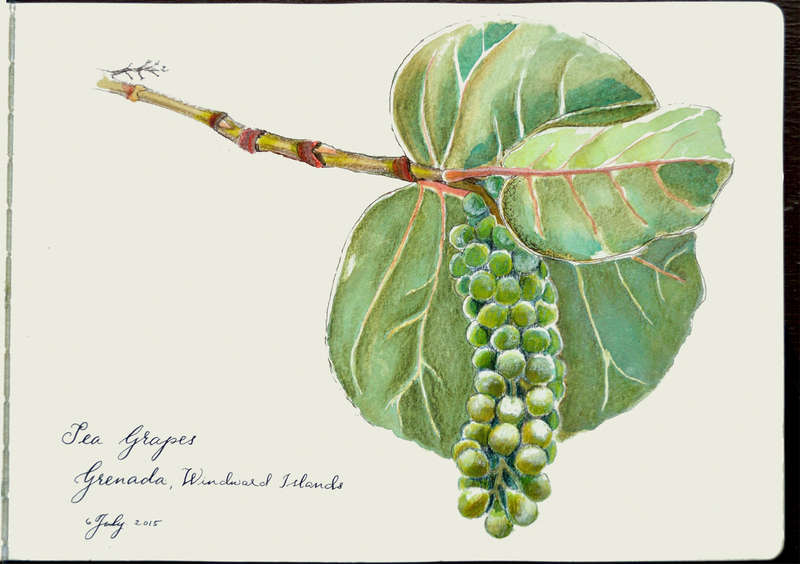 Pretty bunches of sea-green ‘grapes’, and large leaves veined in scarlet. It was a joy to paint these.